Sensor Neural Hearing Loss (SNHL) is a type of hearing loss in which the root cause lies in the vestibulocochlear nerve (cranial nerve VIII), the inner ear or the central processing centres of the brain [1Chen YS, Emmerling O, Ilgner J, Westhofen M. Idiopathic sudden sensor neural hearing loss in childrenInt. J Pediatr Otorhinolaryngol 2005 Jun; 69(6): 817-21.]. The ethology of SNHL is unknown in near about 40% of children which may be viral in origin [1Chen YS, Emmerling O, Ilgner J, Westhofen M. Idiopathic sudden sensor neural hearing loss in childrenInt. J Pediatr Otorhinolaryngol 2005 Jun; 69(6): 817-21.]. Idiopathic (unexplained) hearing loss may be the result of an infectious disease or an injury [1Chen YS, Emmerling O, Ilgner J, Westhofen M. Idiopathic sudden sensor neural hearing loss in childrenInt. J Pediatr Otorhinolaryngol 2005 Jun; 69(6): 817-21.]. Cytomegalovirus is the most common cause of congenital infection, 40% of the unknown cause of deafness cases are due to congenital CMV [2Kenneson A, Cannon MJ. Review and meta-analysis of the epidemiology of congenital cytomegalovirus (CMV) infection. Rev Med Virol 2007; 17(4): 253-76. [http://dx.doi.org/10.1002/rmv.535] [PMID: 17579921] ]. Gancyclovir treatment is recommended for diminishing the SNHL-induced congenital CMV [3Cannon MJ. Congenital cytomegalovirus (CMV) epidemiology and awareness. J Clin Virol 2009; 46(Suppl. 4): S6-S10. [http://dx.doi.org/10.1016/j.jcv.2009.09.002] [PMID: 19800841] , 4Yamamoto Aparecida Y, Mussi-Pinhata Marisa M, Isaac Myriam de L, et al. Congenital cytomegalovirus infection as a cause of sensor neural hearing loss in a highly immune population. Pediatric Infectious Disease Journal 2011 December; 30(12): 1043-6.]. Asymptomatic infected neonates might have SNHL, vision loss and mental retardation and development delay [3Cannon MJ. Congenital cytomegalovirus (CMV) epidemiology and awareness. J Clin Virol 2009; 46(Suppl. 4): S6-S10. [http://dx.doi.org/10.1016/j.jcv.2009.09.002] [PMID: 19800841] , 4Yamamoto Aparecida Y, Mussi-Pinhata Marisa M, Isaac Myriam de L, et al. Congenital cytomegalovirus infection as a cause of sensor neural hearing loss in a highly immune population. Pediatric Infectious Disease Journal 2011 December; 30(12): 1043-6.]. Many studies proved the significant role for the congenital CMV in children with SNHL [2Kenneson A, Cannon MJ. Review and meta-analysis of the epidemiology of congenital cytomegalovirus (CMV) infection. Rev Med Virol 2007; 17(4): 253-76. [http://dx.doi.org/10.1002/rmv.535] [PMID: 17579921] -4Yamamoto Aparecida Y, Mussi-Pinhata Marisa M, Isaac Myriam de L, et al. Congenital cytomegalovirus infection as a cause of sensor neural hearing loss in a highly immune population. Pediatric Infectious Disease Journal 2011 December; 30(12): 1043-6.]. Yamamoto et al., confirmed the prominent role for the congenital CMV in children with SNHL even in a country with high immunity to CMV. They determined the rate, risk factors, and predictors of SNHL in CMV-infected neonates identified by newborn screening in a highly immune maternal population [4Yamamoto Aparecida Y, Mussi-Pinhata Marisa M, Isaac Myriam de L, et al. Congenital cytomegalovirus infection as a cause of sensor neural hearing loss in a highly immune population. Pediatric Infectious Disease Journal 2011 December; 30(12): 1043-6.]. Congenital toxoplasmosis is a mild or severe neonatal disease during the first months of life, or with sequels or relapse of a previously undiagnosed infection at any time during infancy or later in life [13Lebas F, Ducrocq S, Mucignat V, et al. Congenital toxoplasmosis: A new case of infection during pregnancy in an previously immunized and immunocompetent woman. Arch Pediatr 2004; 11(8): 926-8. [http://dx.doi.org/10.1016/j.arcped.2004.04.017] [PMID: 15288083] , 14Boyer K, Mc Leod R, Karrison T, et al. Congenital toxoplasmosis study; Outcome of treatment for congenital toxoplasmosis, 1981–2004. Clin Infect Dis 2006; 42: 1383-94. [http://dx.doi.org/10.1086/501360] [PMID: 16619149] ]. 10-17% of infants with congenital toxoplasmosis developed SNHL at the age of 4 months or later [14Boyer K, Mc Leod R, Karrison T, et al. Congenital toxoplasmosis study; Outcome of treatment for congenital toxoplasmosis, 1981–2004. Clin Infect Dis 2006; 42: 1383-94. [http://dx.doi.org/10.1086/501360] [PMID: 16619149] , 15del Castillo Martin F. Congenital toxoplasmosis. A disease with too many questions. A Pediatr (Barc) 2004 Aug; 61(2): 115-7.]. Treatment of Active T.Gondii infection in pregnant women can prevent congenital toxoplasmosis from occurring in infants [16Wallon M, Kodjikian L, Binquet C, et al. Long-term ocular prognosis in 327 children with congenital toxoplasmosis. Pediatrics 2004; 113(6): 1567-72. [http://dx.doi.org/10.1542/peds.113.6.1567] [PMID: 15173475] -20Keshavarz H. Seroprevalence of toxoplasmosis in pregnant women in ilam province in iran. Iran J Parasitol 2008; 3: 34-7.]. Screening for intrauterine infections during pregnancy or in neonates is not available in Iran [21Assmar A, Yassaei A, Terhovanesian AR, Esmaeili N, Hassan Z, et al. Prenatal diagnosis of congenital toxoplasmosis: Validity of PCR using amniotic fluid against indirect fluorescent antibody assay in mothers. Iran J Public Health 2004; 33: 1-4.-23Saki J. The role of toxoplasmosis in ophthalmic disorders. Iran J Public Health 2007; 36: 1-2.]. The prevalence of antibodies to T.Gondii ranges from 24% to 57.7% in Iran [19Noorbakhsh S, Mamishi S, Rimaz S, Monavari SHR. Toxoplasmosis in primiparus pregnant women and their neonates. Iran J Public Health 2002; 31: 51-4., 20Keshavarz H. Seroprevalence of toxoplasmosis in pregnant women in ilam province in iran. Iran J Parasitol 2008; 3: 34-7.]. Acute T-Gondii was reported in 9.8% of TORCH suspected infants (< 2 y old) which had no significant difference with controls but in contrast, the previous immunity was higher in the control group [21Assmar A, Yassaei A, Terhovanesian AR, Esmaeili N, Hassan Z, et al. Prenatal diagnosis of congenital toxoplasmosis: Validity of PCR using amniotic fluid against indirect fluorescent antibody assay in mothers. Iran J Public Health 2004; 33: 1-4.]. All the above studies determined that the adult Iranian population is highly immune to CMV infection. The burden of congenital CMV associated Sensor Neural Hearing Loss (SNHL) in populations with 100% CMV seroprevalence is unknown [5Siadati SA, Noorbakhsh S. CMV infection in primiparus pregnant women in Tehran’. Acta Med Iran 2002; 40(3): 136-9.]. Previous immunity from T.Gondii in adult Iranian population is varied between 24%- 57.7% [19Noorbakhsh S, Mamishi S, Rimaz S, Monavari SHR. Toxoplasmosis in primiparus pregnant women and their neonates. Iran J Public Health 2002; 31: 51-4., 20Keshavarz H. Seroprevalence of toxoplasmosis in pregnant women in ilam province in iran. Iran J Parasitol 2008; 3: 34-7.] which causes congenital infection in about 10% of all intrauterine infection in our country. (21) CMV and T.Gondii infection may play a major role in children with congenital or acquired forms of SNHL in our country [10Noorbakhsh S, Farhadi M, Tabatabaei A. Infection in childhood. SNHL SMJ 29(10): 1470-4.-12Noorbakhsh S, Farhadi M, Daneshi A, Mohamadi Sh, Tabatabaei A. Viral infections detected by serology and PCR of perilymphatic fluid in children with idiopathic sensor neural hearing loss. EMHJ 2011; 17(11): 868-71., 24Noorbakhsh S, Memari F, Farhadi M, Tabatabaei A. Sensory hearing loss due to Toxoplasma Gondii in children: A case-control study. Clin otolary 2008; 33: 265-84., 25Noorbakhsh S, Farhadi M, Daneshi A, Tabatabaei A, jomeh H Emam, Ghavami Y. Associations between antibodies against the endothelial cell and T. Gondii; Cytomegalovirus in serum of children with cochlear implant surgery. J AIDS Clin Res 2013; 4: 3.]. Comparison the serologic results between cases and controls. Correlation of age and serologic results in cases. Yamamoto et al., described newborns with positive saliva CMV-DNA in the first 2 weeks of life, a prospective follow-up study was conducted to monitor hearing outcome [5Siadati SA, Noorbakhsh S. CMV infection in primiparus pregnant women in Tehran’. Acta Med Iran 2002; 40(3): 136-9.]. Out of 12,195 infants screened, 1% were infected with CMV while 10% had a symptomatic infection at birth. SNHL was observed in 9.8% in 12 months age. 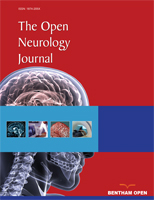 Profound SNHL (>90 dB) was observed in 4/5 children with bilateral SNHL while all 5 children with unilateral SNHL had moderate to severe loss [5Siadati SA, Noorbakhsh S. CMV infection in primiparus pregnant women in Tehran’. Acta Med Iran 2002; 40(3): 136-9.]. Symptomatic CMV infection is not related to intrauterine growth retardation, gestational age, gravidity, and maternal age [5Siadati SA, Noorbakhsh S. CMV infection in primiparus pregnant women in Tehran’. Acta Med Iran 2002; 40(3): 136-9.]. Here, as detailed above, the rate of recent T.Gondii infection (IgM) was higher in the cases (17.7% vs. 0% controls); but in previous cases, the immunity (IgG) was very low (2.2% vs. 60% controls). The previous immunity in the controls (probably Trans placental origin) might prevent the neonates against T.Gondii intrauterine infection. The present study is very close to other reports in our country [22S Noorbakhsh*, N Khosravi, V Zarabi, M Farhadi and A Tabatabaei. Congenital infection with toxoplasma Gondii: A case control study in Tehran, Iran. Open Access Scientific Reports. J Bacteriol Parasitol 2012; 1(3): 1-4.-24Noorbakhsh S, Memari F, Farhadi M, Tabatabaei A. Sensory hearing loss due to Toxoplasma Gondii in children: A case-control study. Clin otolary 2008; 33: 265-84.]. At least 2 studies confirm these results [22S Noorbakhsh*, N Khosravi, V Zarabi, M Farhadi and A Tabatabaei. Congenital infection with toxoplasma Gondii: A case control study in Tehran, Iran. Open Access Scientific Reports. J Bacteriol Parasitol 2012; 1(3): 1-4., 24Noorbakhsh S, Memari F, Farhadi M, Tabatabaei A. Sensory hearing loss due to Toxoplasma Gondii in children: A case-control study. Clin otolary 2008; 33: 265-84.]. The study to search the congenital toxoplasmosis in 51 cases (mean age = 4.7 months + 3.7 month), and 30 controls in our center had been published recently [22S Noorbakhsh*, N Khosravi, V Zarabi, M Farhadi and A Tabatabaei. Congenital infection with toxoplasma Gondii: A case control study in Tehran, Iran. Open Access Scientific Reports. J Bacteriol Parasitol 2012; 1(3): 1-4.]. It showed recent T.Gondii infection (IgM) in 10% of cases but none of the controls; previous immunity (IgG) was found in 18% cases and 60% of controls [22S Noorbakhsh*, N Khosravi, V Zarabi, M Farhadi and A Tabatabaei. Congenital infection with toxoplasma Gondii: A case control study in Tehran, Iran. Open Access Scientific Reports. J Bacteriol Parasitol 2012; 1(3): 1-4.]. Like here, previous immunity (IgG) was significantly higher in the control healthy group (P value =0.00) [22S Noorbakhsh*, N Khosravi, V Zarabi, M Farhadi and A Tabatabaei. Congenital infection with toxoplasma Gondii: A case control study in Tehran, Iran. Open Access Scientific Reports. J Bacteriol Parasitol 2012; 1(3): 1-4.]. Similar results were presented in our previous studies. None of the controls were detected in the recent T.Gondii infection (IgM) in comparison with 12% of SNHL cases (P value =0.00). Previous immunity (IgG) against T.Gondii infection was significantly higher in the control healthy group (48% vs. 21%; P value < 0.001) [24Noorbakhsh S, Memari F, Farhadi M, Tabatabaei A. Sensory hearing loss due to Toxoplasma Gondii in children: A case-control study. Clin otolary 2008; 33: 265-84., 25Noorbakhsh S, Farhadi M, Daneshi A, Tabatabaei A, jomeh H Emam, Ghavami Y. Associations between antibodies against the endothelial cell and T. Gondii; Cytomegalovirus in serum of children with cochlear implant surgery. J AIDS Clin Res 2013; 4: 3.]. All results confirmed the relative role for T.Gondii in studied cases. (19,24) The rate of seropositivity in severe SNHL which is 4 fold lower than the previous study (63.6%) had applied upon all type of SNHL in our center. 2.2% of cases with severe SNHL had recent T.Gondii infection (vs. 10% previous study) [24Noorbakhsh S, Memari F, Farhadi M, Tabatabaei A. Sensory hearing loss due to Toxoplasma Gondii in children: A case-control study. Clin otolary 2008; 33: 265-84.]. It means that T.Gondii infection might have a higher role in mild to moderate SNHL in our pediatric population. Most of the infected SNHL cases never require cochlear implant surgery. The prevalence of T Gondii antibodies ranges from 24% to 57.7% in Iranian population [19Noorbakhsh S, Mamishi S, Rimaz S, Monavari SHR. Toxoplasmosis in primiparus pregnant women and their neonates. Iran J Public Health 2002; 31: 51-4., 20Keshavarz H. Seroprevalence of toxoplasmosis in pregnant women in ilam province in iran. Iran J Parasitol 2008; 3: 34-7. ].One study determined the previous and acute T Gondii infection in 34.7% and 7.1% of young pregnant women in Tehran [19Noorbakhsh S, Mamishi S, Rimaz S, Monavari SHR. Toxoplasmosis in primiparus pregnant women and their neonates. Iran J Public Health 2002; 31: 51-4.]. Recent infection observed in 9.8% of TORCH suspected infants(<2y old) in Tehran; but previous immunity(positive IgG) was higher in normal children [8Noorbakhsh S, Farhadi M, Siadati A, Tabatabaei A. Study of TORCH suspected infants. Iran J Pediatr 2005; 15(Suppl. 1): 87.]. So, the congenital toxoplasmosis can be prevented by the treatment of Active T.Gondii infection in pregnant women [13Lebas F, Ducrocq S, Mucignat V, et al. Congenital toxoplasmosis: A new case of infection during pregnancy in an previously immunized and immunocompetent woman. Arch Pediatr 2004; 11(8): 926-8. [http://dx.doi.org/10.1016/j.arcped.2004.04.017] [PMID: 15288083] -15del Castillo Martin F. Congenital toxoplasmosis. A disease with too many questions. A Pediatr (Barc) 2004 Aug; 61(2): 115-7.]. Treatment of congenital toxoplasmosis in the first year of life could prevent this late sequel [16Wallon M, Kodjikian L, Binquet C, et al. Long-term ocular prognosis in 327 children with congenital toxoplasmosis. Pediatrics 2004; 113(6): 1567-72. [http://dx.doi.org/10.1542/peds.113.6.1567] [PMID: 15173475] -20Keshavarz H. Seroprevalence of toxoplasmosis in pregnant women in ilam province in iran. Iran J Parasitol 2008; 3: 34-7.]. In our opinion, the neonatal screening test (Guthrie cards) might be helpful to detect at least 2 common treatable infections (; CMV / T.Gondii) in our country.